Boris’s practice focuses on all aspects of Swiss and European competition law. He acts as counsel in competition law matters before competition authorities, civil courts and arbitral tribunals. Boris has been a partner at our Zurich office since 2011. Alongside his competition law practice, he also has considerable experience advising on matters of public commercial law, such as public procurement, customs, export control, energy and health care law matters, and on all types of commercial contracts. Chambers Europe has ranked him for many years as a leader in the field of competition and antitrust. Boris obtained his law degrees from the University of Basel in 1996 and from Stanford Law School (JSM) in 2002. He was admitted to the Zurich Bar in 2001. His working languages are German and English. Boris is a member of the American Bar Association, the Inter-Pacific Bar Association and the Studienvereinigung Kartellrecht e.V., as well as a passive member of the International Association of Young Lawyers (AIJA). 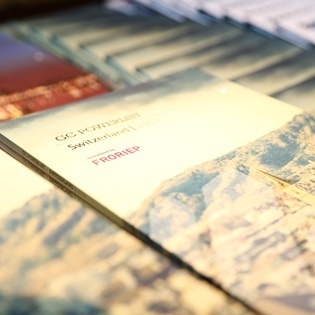 Together with Legal 500, FRORIEP hosted receptions in Zurich and Geneva to celebrate the launch of the nomination process for the GC Powerlist 2016. Leading Swiss general counsel enjoyed an exclusive evening of networking and inspiring panel discussions in each city.